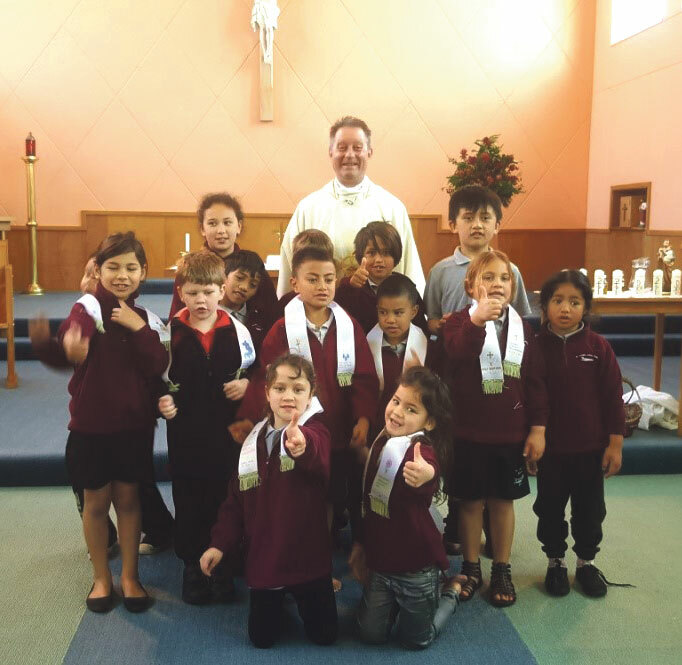 WelCom December 2017: At our parish mid-week Mass on 27 September, we baptised five children and welcomed three more children into our Catholic family in Patea. St Joseph’s Primary School led the song and prayer and Fr Marcus Francis was our celebrant. Preparing children for the Sacraments enriches your own faith and offers you better insight. This year we built a ‘people church’ to help the children understand that Church can have two meanings – it can be the building or it can be the Catholic family that welcomes you at Baptism. Students stood in two rows joining hands to form the sides and roof. Two students at the front extended one of their arms wide like an open door, their other arms joined to the walls. Two students in the middle held up a large cross. This helped open the children’s eyes to being a member of the Catholic family. The arms supporting each other for the main structure of the Church got tired quickly. The weight of the Cross was heavy. Holding arms outstretched like an open door becomes wearisome. They have indeed experienced Church! Support for each other as we journey in faith is ongoing and requires effort. We continually need to be welcoming arms to the troubled, the lost, those who are unsure and those who used to come and who need to be invited back. 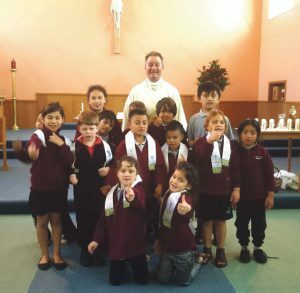 Fiona Dravitzki is Chairperson of St Joseph’s Catholic School, Patea.